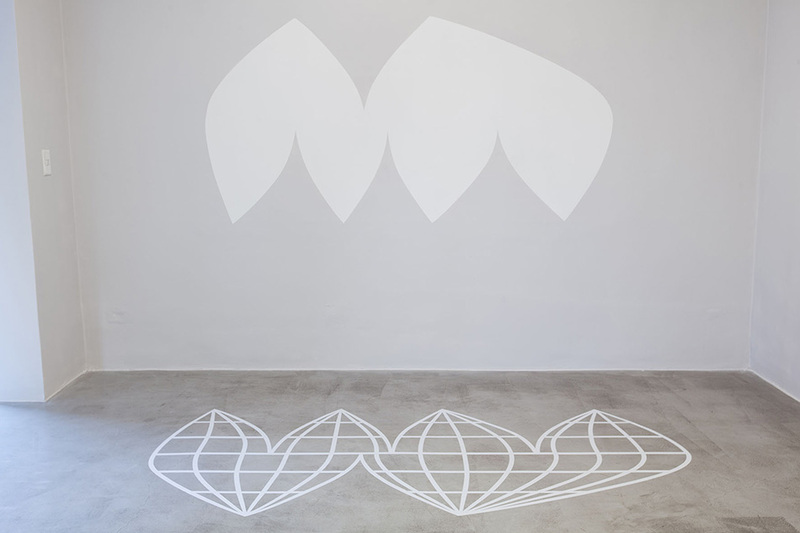 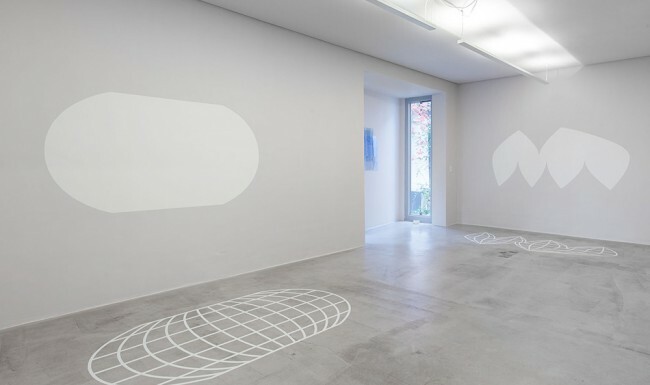 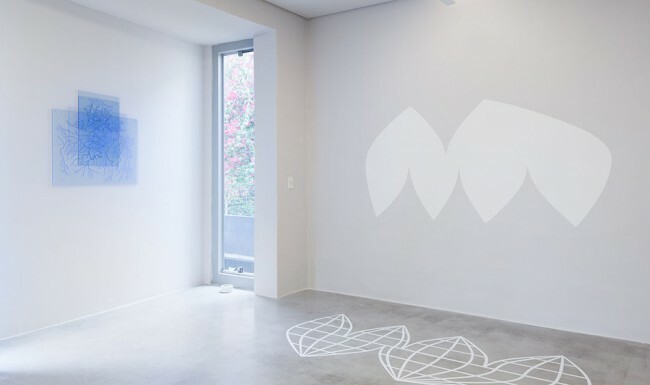 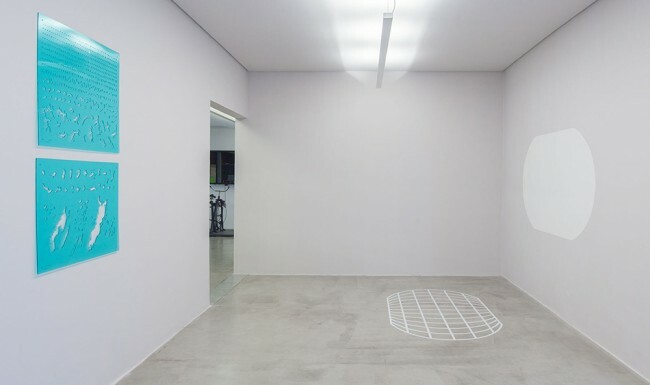 “Projeção I and Projeção II uses the contours of a world map seen on two walls of the room. 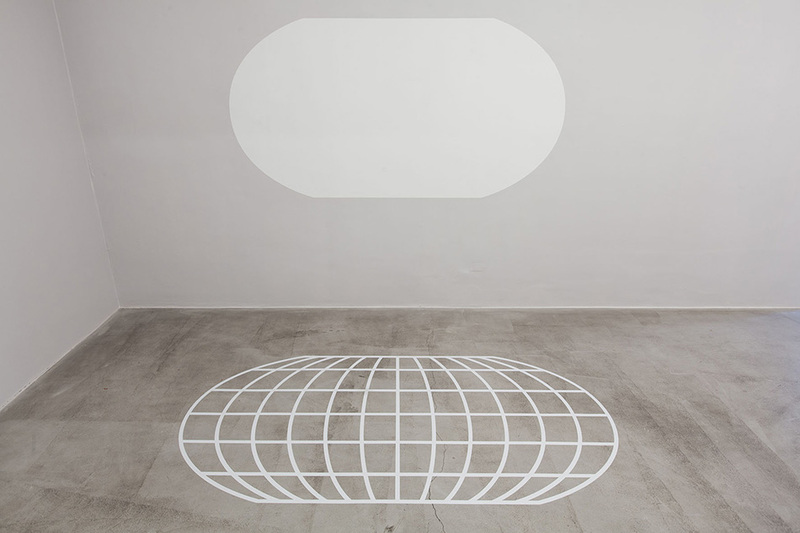 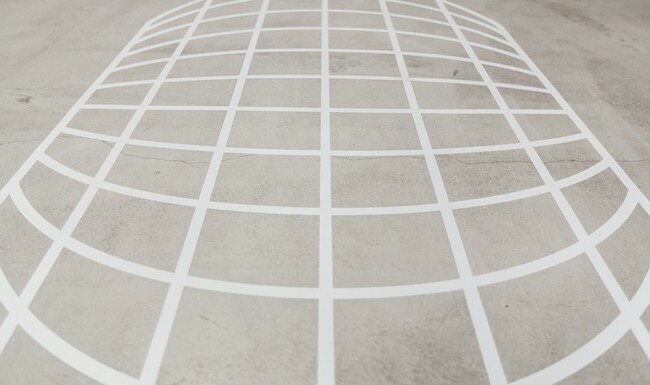 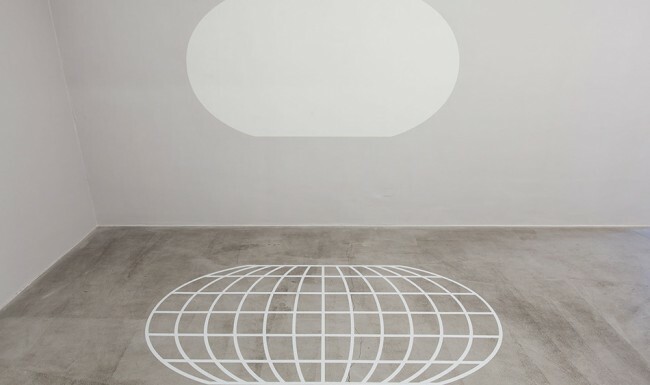 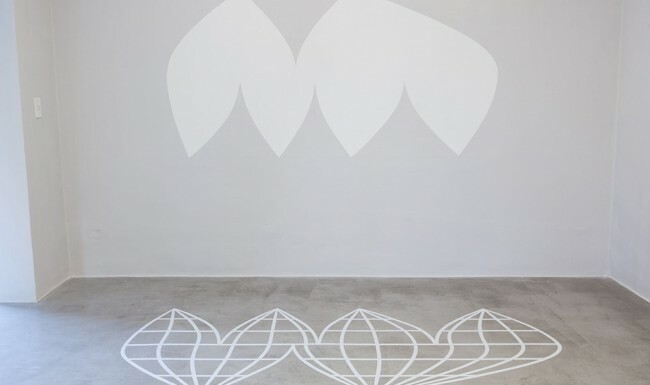 As if the projections were unfolding in adhesive vinyl on the floor, such planispheres are marked by latitudes and longitudes, absent in the wall representation. 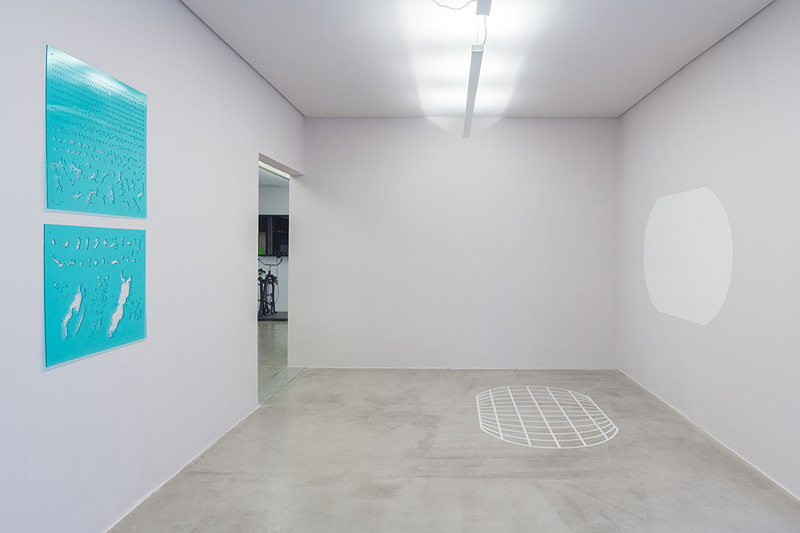 Inventário de Águas – Lagos/Lagoas (Inventory of Waters – Lakes/Lagoons) and Inventário de Águas – Rios (Inventory of Waters – Rivers) meanwhile makes use of architectural templates – cut out in usually blue-coloured, translucent acrylic – to record the principal river basin and lakes/lagoons in Brazil. 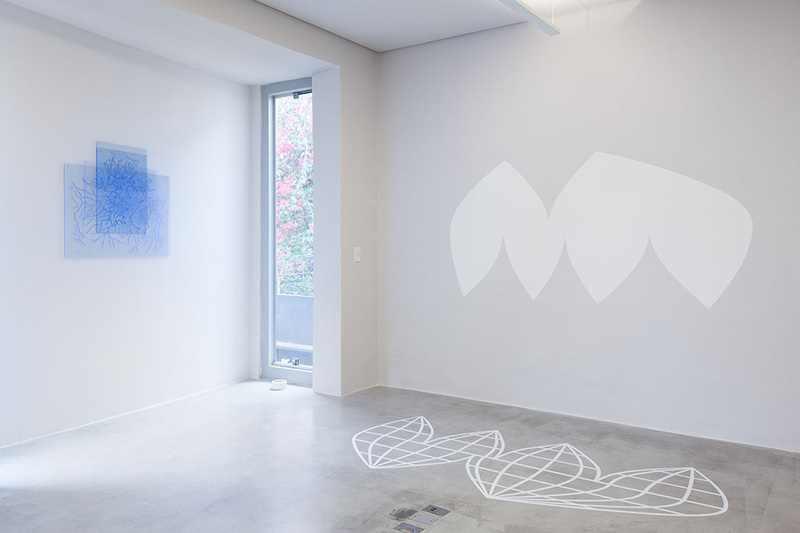 Through the four sheets of overlapping acrylic, the compositions make use of the cut out spaces, playing with the colours and transparency and the fragile materiality to create a cartography that tangibly ceases to provide any precise reproduction of that which originally gave rise to their creation. 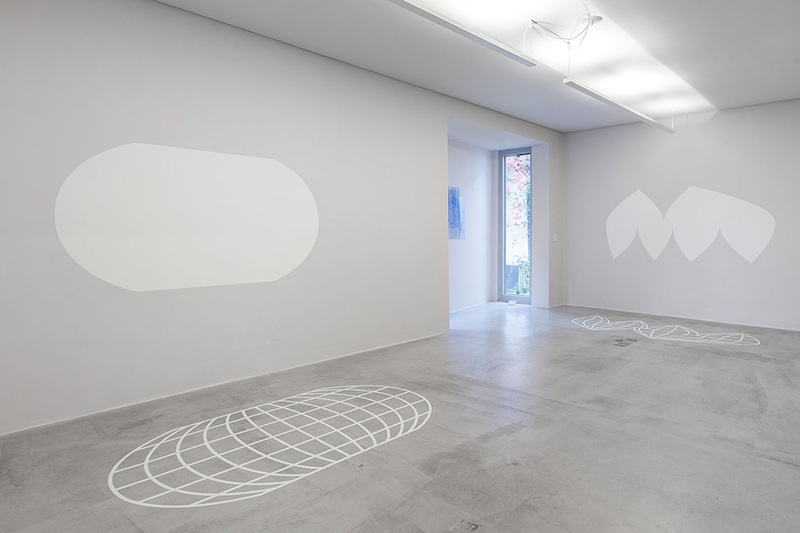 In Projeção I and Projeção II, the same procedure is adopted: the representations of the globe function now as windows (on the walls), now as projections or virtual places of edges and boundaries stripped of their primary function (on the floor). 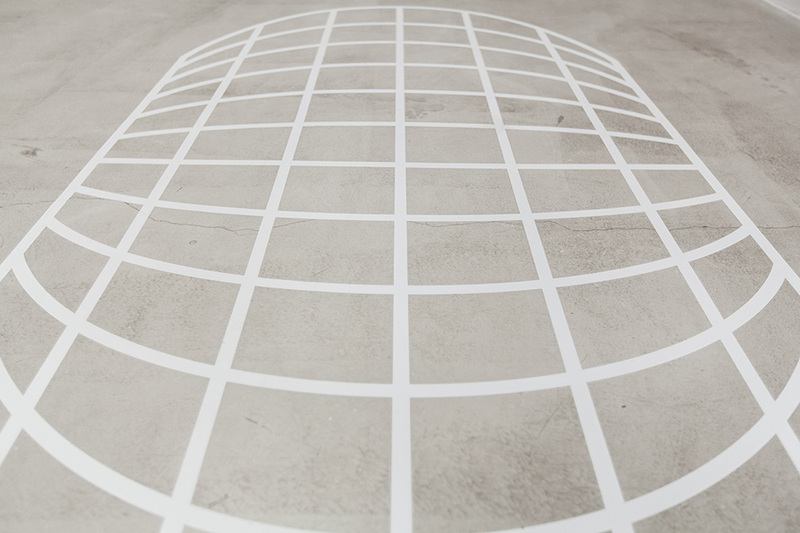 Text excerpt by Mario Gioia about Planisphere exhibition.